When it comes to protecting your professional practice, you need someone who fully understands the risks you face, the complexities of the clinical environment, and the weight of expectation that you carry. Over 60 years of experience in successfully supporting and defending dentists like you gives us unparalleled insight into safeguarding your career for the future. We are a not-for-profit organisation, owned by members and run exclusively for their benefit. Serving healthcare professionals has always been at the heart of what we do. Whether it’s a claim for clinical negligence, an HPCSA matter or a difficult patient complaint, our independent experts are the best in their field. Our multidisciplinary team of dentolegal advisers, legally qualified claims managers and local panel lawyers can respond quickly and discreetly to ensure the best outcome. Both by helping you to individually tackle the risks of your practice, and by addressing issues in the wider claims environment, we are committed to helping you prevent problems from occurring, not just helping you resolve them. Membership comes with advice, support and protection, from a large and diverse pool of experts, which is tailored to your individual circumstances. Dental Protection is not an insurance company. All the benefits of membership are discretionary as set out in the Memorandum and Articles of Association. 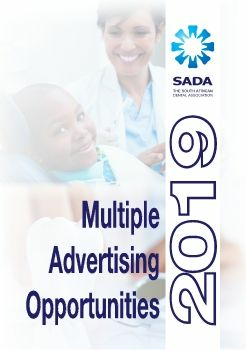 You can find out more about the full range of membership benefits at dentalprotection.org/sa. Over 125 years of worldwide experience means we have a unique insight into why things go wrong, and why complaints and claims arise. Membership offers access to a range of courses which are built around this, helping you to identify and address issues, manage risks, and deliver better patient outcomes through improved communication. Our digital learning platform, Prism, allows you to complete free online learning modules whenever, wherever. All courses, interactive modules and live webinars have been created by our dentolegal experts to help you keep your knowledge up-to-date. Designed to enhance your skills in communication and risk management, the range of three-hour training workshops target the common causes of complaints and claims. All of the specially trained facilitators are experienced dentists who understand the complexities of your practice.